Today we wanted to talk about how Trumpia’s automated text messaging platform can help recruiters more effectively use SMS to reach new candidates and get them placed for job opportunities quickly. In the video below, we are going to explore the five most common ways Trumpia can help recruiters. Mobile keywords are a quick word or phrase that applicants can text in to sign up for job opening alerts. You can promote it in all your existing advertising to get sign-ups and record opt-ins. They are then added to a distribution list automatically, so you can send messages about jobs that are relevant to their interests and qualifications. Our intelligent solution can even automatically ask qualifying questions so you can send more targeted job openings. With our powerful Smart Targeting, you can send targeted text announcements about job openings to candidates based on their location, qualifications, and availability. This way, your applicants will stay opted-in because they are getting only job openings that are relevant to them. With two-way texting, candidates can call or text the same number with questions about job openings. 60% of jobseekers say they would prefer to text over call, because nobody wants to risk playing phone tag, getting stuck on a long call, or have emails get buried in their inbox. Accomplish more without having to tie up employees with automated texting for recruiting. We can automate complex operations with features like our Intelligent-Text-Response system that automatically branches candidates down different paths based on how they respond to your texts. If they respond with 5 years of experience, they would be sent links to senior accounting job openings automatically. Cut down on no-shows and late applications with Trumpia powerful text auto-reminders. Our omni-channel solution can send reminders to candidates across voice, SMS, and email so that they are guaranteed to see your notices and never miss a job interview again. We can even remind people based on their behavior, like if they showed interested by opening an application, but haven’t submitted it yet a day before the deadline. These are just a few ways Trumpia can help with recruiting. We also offer consulting services and have an amazing support team ready to help 365 days a year. Click here to talk to one of our experts and schedule a demo today! 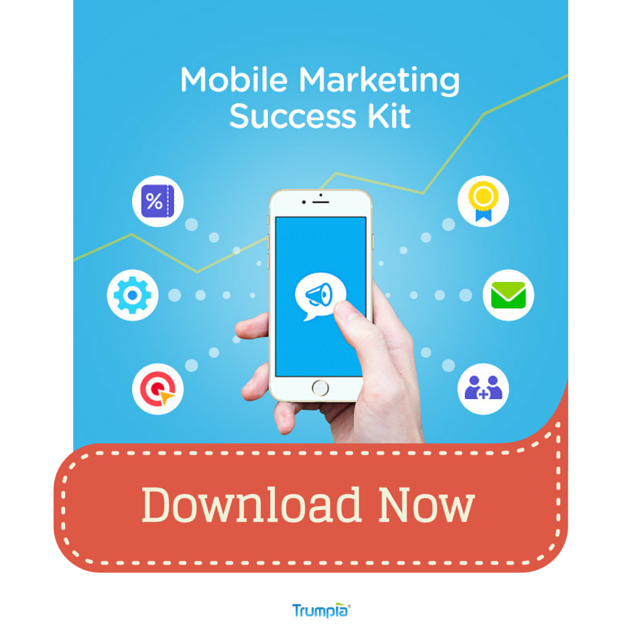 Download our Mobile Marketing Success Kit for FREE!